Babar Azam is the darling of Pakistan cricket right now and why not, he has been scoring a bucket load of runs in ODI cricket. Since his debut in 2015, Babar Azam has averaged 53.88 at a SR of 88.55, during the same period the aggregate numbers for the number 3 & 4 position (a position which Babar Azam has usually batted in) are an average of 40.43 at a SR of 83.62, in comparison to the aggregate numbers Babar Azam is a better batsman and is clearly the batting superstar Pakistan needs in ODI cricket. But all this aside, his T20 numbers are mediocre, to say the least, since his T20 debut Babar has averaged 38.07 runs at 6.86 runs per over which means Babar takes 33 balls to score his runs. In comparison since his debut, batsmen have averaged 24.65, scoring runs at 7.61 runs per over, these runs are scored off 19 balls. Over a 20 over game if Babar Azam could bat all 20 overs he would score 137 runs for the loss 4 wickets, while an average batsman would score 152 runs for the loss of 6 wickets. 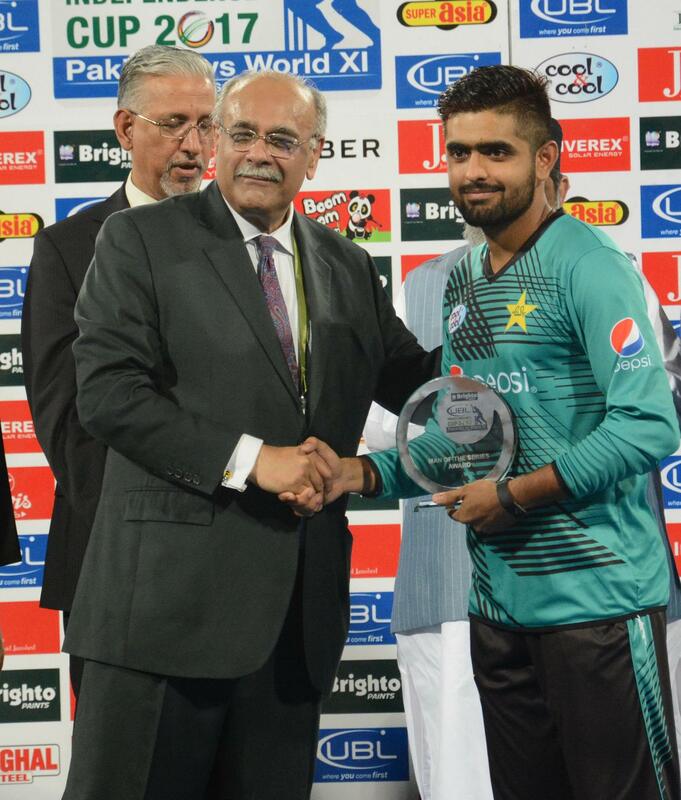 T20 games are won by runs and by not keeping wickets in hand, Babar Azam is a batsman who values his wicket a lot. His approach in the T20 arena shows it, by scoring at a rate of 6.86, Babar is curbing the attacking instinct needed in the T20 format. The difference of 15 runs between Babar Azam and the average batsman might not be much, but in the T20 format, the difference is huge cause it is a difference of 0.75 runs per over. Runs left on the field due to the high value of wicket Babar puts on his wicket. 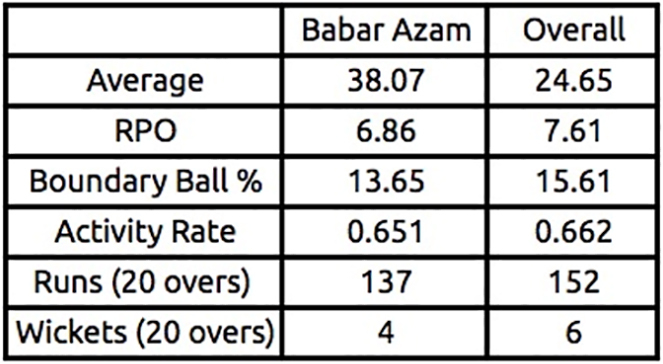 Babar's T20 numbers when broken down are polar opposites to his ODI numbers. His average of 38.07 is too high in a format where the average does not matter, it's his ability to score runs at a quick rate which is a problem. Overall Numbers are from the Babar Azam’s T20 debut. But in the opening game of the Independence Cup, Babar showed us what he can do with the bat if he puts a lower value to his wicket. Babar Azam smashed 86 runs in 52 balls at 9.92 runs per over, which is already 3 runs more per over than the regular Babar innings. His boundary ball % was 23% which was close to 10% more than his average boundary ball % and his activity rate (which is non-boundary runs scored per non-boundary ball) was 0.85 as he scored 34 non-boundary runs in 40 non-boundary balls which is a 0.205 jump over his average activity rate. The 52 balls 86 showed us what Babar Azam is capable of, 10 of the 12 boundaries he scored were 4s a low risk strategy which gives you reward. Babar could model himself on becoming like Kohli by scoring those frequent boundaries and running hard between the wicket. 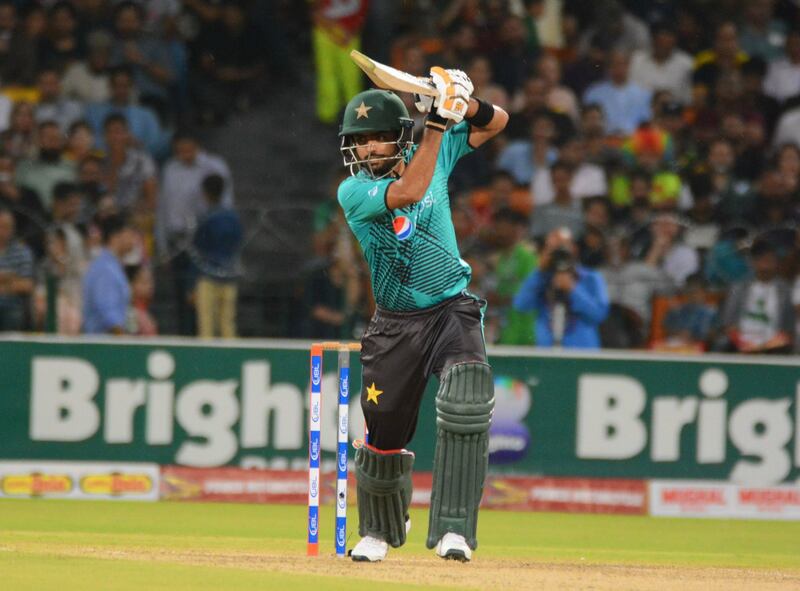 He has shown us what he is capable of in the ODI format, it just needs a tilt in mindset for Babar to become a really good T20 batsman for Pakistan something which Babar Azam is capable of. Babar has the shots, he is a young player who is fit and is keen to improving his fitness something which he discussed in the presentation ceremony, there is no reason why Babar cannot dominate the T20 format if he lowers the value of his wicket, cause at the end of the day you win a T20 by the number of runs you have scored and not by the wickets in hand. 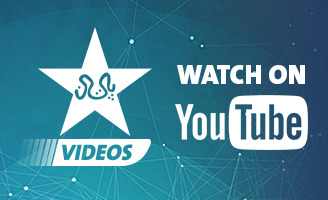 The writer is a cricket watcher who likes to find the truth behind the numbers in the game.